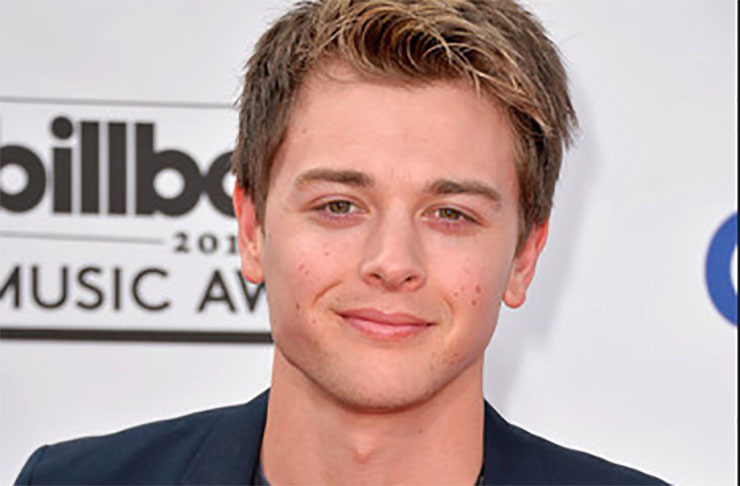 Chad Duell on His Daytime Emmy Nom, GH Mentors, and More! General Hospital star Chad Duell, who plays Michael Corinthos. What’s it like to star on a hot soap, be a Daytime Emmy winner and a nominee again this year? General Hospital‘s Chad Duell gave the scoop! Another Win on the Horizon? “It’s always cool to be nominated,” Duell (Michael Corinthos) told Outtakes Laurie Baker of his 2017 Daytime Emmy nod in the category of Outstanding Supporting Actor. Hear the full audio below. “I was sitting at home with my dog and found out suddenly!” This will be Duell’s fifth nomination, and if he takes home the award, it will be his second win, as he won in the same category in 2015. “My girlfriend (Courtney Hope, Sally Spectra, B&B) is on The Bold and the Beautiful, so I will go with her. It’ll be her first Emmy ceremony, too,” the actor said. Duell expressed his gratitude for being nominated again this year. “I am very blessed and honored to represent General Hospital. I have to soak it in as much as I can,” he said. Duell said that so far, the storyline that he’s most proud of is when Michael was raped in prison. “It was very challenging, but the most rewarding in the seven years I’ve been on the show,” he said.